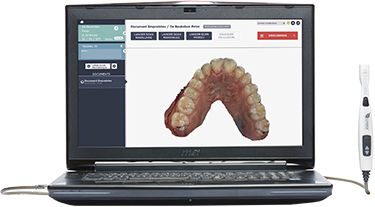 Excited about our revolutionary intra-oral scanner? Ambitious to join our team? Take a look at our open positions below and click on the links to apply. We look forward to hearing from you! Condor Technologies NV is looking for a multi-talented React/Node.js Developer responsible for the development and maintenance of our user facing applications and infrastructure. Condor Technologies is looking for a dental technician with a background in digital dentistry to provide CAD/CAM & dental technical support to our distribution network and their clients. This position requires a lot of traveling but is based in Ghent, Belgium. Condor Technologies is looking for a dentist with a background in digital dentistry to provide clinical support to our distributors worldwide. While occasionally you will be traveling internationally, your office will be in Ghent, Belgium. Condor Technologies NV is looking for a young & dynamic individual who is passionate about graphic & digital media to join our marketing team. You will work together with our Content & Marketing Manager to make engaging, storytelling & activating materials. Your office will be based in Ghent, Belgium. Condor Technologies is looking for a Sales Manager with a background in digital dentistry to build and manage our distribution network in the following markets: Central & South America. Condor Technologies is looking for a Sales Manager with a background in digital dentistry to lead our direct sales effort and build our distribution network in Germany.